For preservation purposes, pages in the Emily Howland album will be turned periodically to feature portraits of Susie Bruce, Emma Brown, Charles Sumner, USCT soldier William Johnson, Sidney Taliafero, and John Willis Menard, starting Friday, June 21. 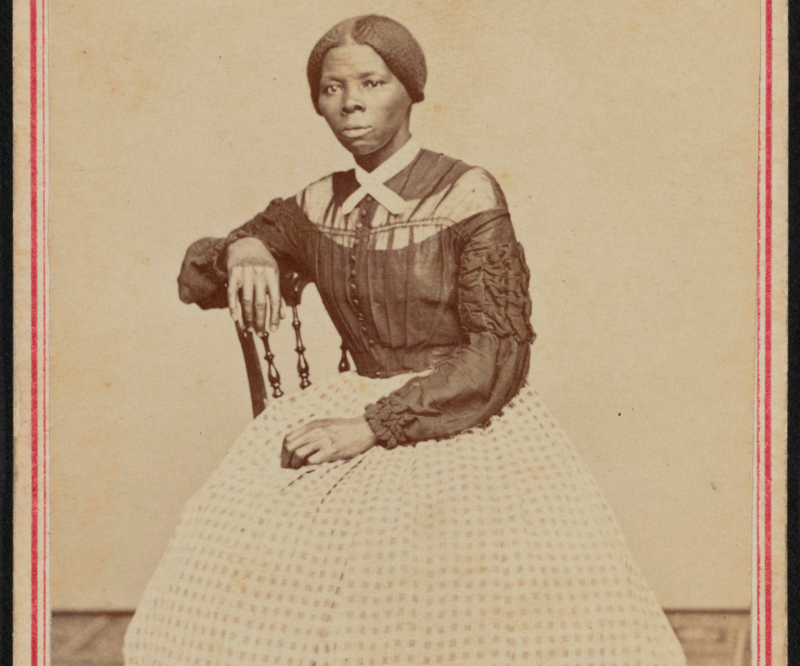 The Smithsonian’s National Museum of African American History and Culture will display—for the first time—the Emily Howland photography album containing a previously unknown portrait of abolitionist and Underground Railroad-conductor Harriet Tubman. The Howland album will be the museum’s first acquisition to be displayed in Heritage Hall, the museum’s main entry hall. It will be on exhibit Monday, March 25, through Sunday, March 31, and then relocated to the “Slavery and Freedom” exhibition on the C3 Level in the museum’s History Gallery. A recently announced visitation policy allowing for walk-up entry without passes Monday through Friday starting at 1 p.m. will provide visitors access to viewing the Tubman photograph. "Harriet Tubman was a change-maker and a trailblazer—a citizen who helped shape this country,” said Librarian of Congress Carla Hayden. “This amazing album gives us a new view of her life, along with dozens of other abolitionists, educators, veterans and leaders who took an active role in citizenship. At the Library of Congress, we’re focused on exploring America’s change-makers, and we’re thrilled to join the Smithsonian in sharing these portraits with the nation. Display of Howland’s album is part of the Smithsonian American Women’s History Initiative, “Because of Her Story.” The initiative is one of the country’s most ambitious undertakings to research, collect, document display and share the compelling story of women. It will deepen our understanding of women’s contributions to the nation and the world. More information about the initiative is available at womenshistory.si.edu.